For a second year, KLU students have organised an event at which six volunteers from the faculty and student body each get a short time to discuss an issue about which they feel strongly. 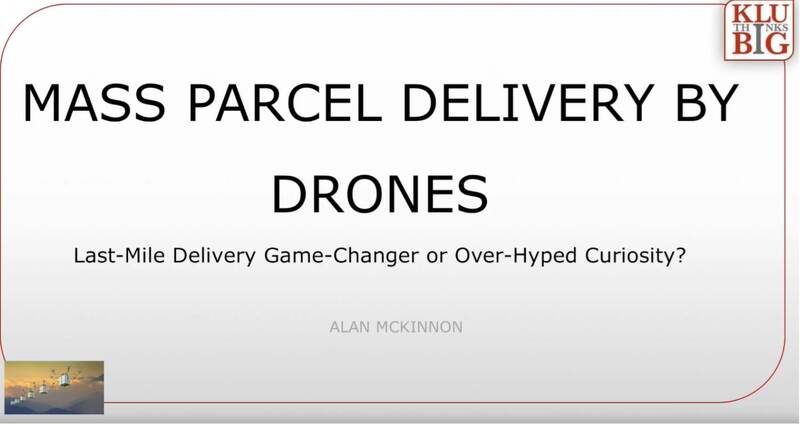 I contributed a session on why I do not believe that drones are going to become widely used as a mode of parcel delivery in urban areas. Contribution to a session of the Transport and Tourism Committee of the European Parliament on ‘Megatrucks’ on the 5th September 2013 in Brussels. 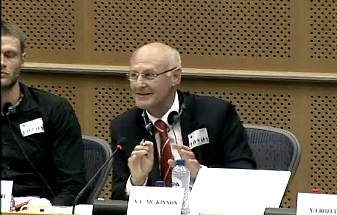 Professor McKinnon was a reviewer of a report the Parliament had commissioned on the subject. Click thumbnail to play video on this page. 1st International Transport Forum in Leipzig in May 2008. [BREAK]Contributing to a session on the decarbonisation of transport. 6th International Transport Forum in Leipzig in May 2014. [BREAK]Contributing to a panel discussion the adaptation of transport systems to climate change and extreme weather events. ITF Roundtable on freight performance measurement. Contributing as keynote speaker to an ITF Roundtable on freight performance measurement in Mexico in March 2015. Collection of emissions data and decarbonisation of freight transport. Interviews with NTM, the Swedish transport and environment organisation, on the collection of emissions data and decarbonisation of freight transport. .
Interview on improving logistics systems, and the link between enhancing performance and environmental gains. Speaking at a Transport and logistics conference in Gothenburg on the 23 May 2012.